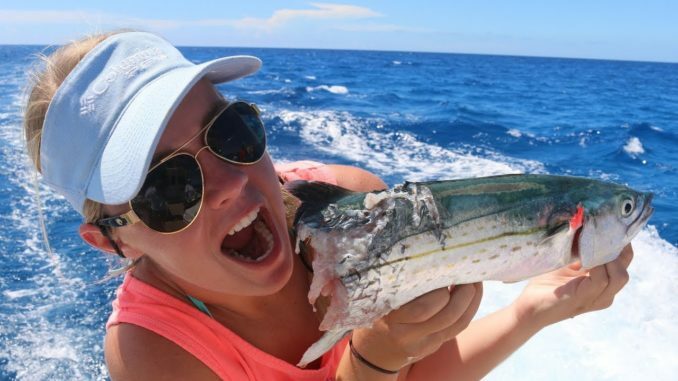 Here is day 3 of our Bahamas fishing and diving trip. We started out by trolling for tuna and dolphin, but only managed to catch barracudas. We had several fish like cero mackerel attacked by the barracuda. Barracudas are notorious for stealing your catch and stalking you while spearfishing. While Brook and I were free diving, I had a barracuda charge and almost attack me, not all could be seen on the video. I shot it with my pole spear, in self defense. These fish always tend to show up after shooting things like hogfish, snapper and grouper and stalking divers. We gave away all the barracudas to the local Bahamian people, and Barracudas are unregulated in the Bahamas, unlike Florida State Waters.